Last month, our CEO and I attended the 2017 VRX Conference in San Francisco. Billed as the conference “where the business of immersive tech gets done,” speakers and attendees included key individuals from companies such as Walmart, Ford, Qualcomm, ExxonMobil, and Wayfair. At Shockoe, we focus on developing enterprise applications, so we were particularly drawn to VRX for its dedicated enterprise track. We saw this as a great opportunity to review the current state of immersive tech at companies within our primary industry verticals (retail, logistics, manufacturing, and energy). In addition, we knew the conference would be a great way for us to network with other tech professionals from around the country and learn from some of the top talents in the industry with speakers and attendees from many of the major immersive tech organizations such as Google, Microsoft, Oculus, HTC, and Intel. Yet, this confusion is nothing new. As industry veteran Charlie Fink points out in this Forbes article from last October, the struggle to settle on names for these technologies has existed for nearly 25 years and it doesn’t seem that the matter will be settled anytime soon. 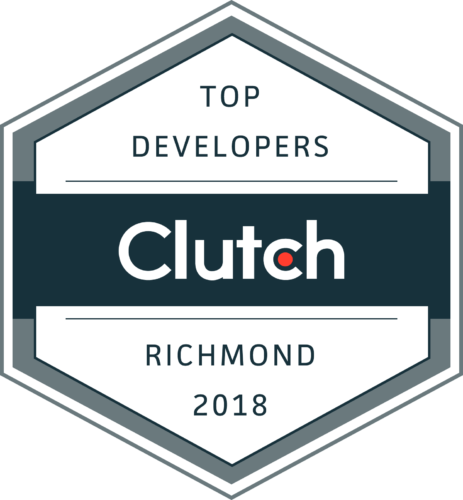 At Shockoe, we refer to this group of technologies as Immersive Media, though we will often refer to each individual technology by its specific name. We see VR as creating a new reality that a user enters, AR as augmentation of the physical world via a handset device, and MR as an interactive, head-mounted display based augmentation of the physical world. As the industry continues to evolve, we’ll adjust our naming accordingly to meet the needs of our clients. If 2017 was the year of ideation and stakeholder sell-through for an immersive enterprise, 2018 will be the year of addressing the complexities of deployment at scale. While many companies are already investigating and quantifying the benefits of immersive tech in the workplace, few have begun the significant undertaking of deploying these solutions at scale throughout their organization. Ideation and creation are only the first steps. Moving forward, it’s imperative that IT teams understand all of the potential pain points and best practices throughout the delivery process. They must ensure hardware deployment, content management, and ongoing support are all factored into the equation. While immersive enterprise deployment is similar to the deployment of mobile technology (also a relatively nascent technology in certain industries), both offer unique challenges that must be considered. The primary consideration is hardware. From AR capable phones to room-scale 6-DOF VR headsets, immersive technology requires a significant investment in hardware for many companies. Furthermore, the logistics of large-scale deployment of these devices is challenging. As such, a clear solution and deployment roadmap that balances capital investment and ROI is crucial. Once the hardware is accounted for, another significant factor is the content pipeline that is critical to interfacing with immersive experiences. Integrating with existing infrastructure, content management systems, and APIs can often prove overwhelming if not correctly managed, particularly if there are a large number of 3D assets to be implemented. Having a successful pipeline also means maximizing the efficiency of assets (reducing polygons, simplifying textures, etc). Post-deployment, operational considerations become major factors in the adoption of these new systems and devices. It is critical that organizations train their IT teams to handle the complexities of immersive tech deployment, both for device management and for troubleshooting the new use cases. Organizations that address these factors will increase chances of successful deployment and adoption of immersive technology in 2018. With the 2017 introductions of Apple’s ARKit and Google’s ARCore, 2018 will likely be the year that spatially-aware augmented reality truly enters the mainstream. Given that the current install base for AR capable devices numbers in the tens of millions, the only thing limiting adoption is recognition of use cases and the time needed for the design and development of related applications. It’s crucial, however, that these new apps are addressing actual user needs and solving real organizational problems. With that in mind, perhaps no better AR use case exists than presenting accurately sized and scaled objects in a spatially correct environment; e.g., Will this sofa actually fit in my living room, and what will it look like? In my estimation, 2018 will see the rise of AR integration into a wide variety of retail applications. From furniture to clothing to groceries, being able to pre-visualize an item in context prior to purchase will be hugely beneficial. Indeed, many major retailers have already integrated AR tech into their apps, the most noteworthy of which is Amazon. In 2018, this tech will shift from a “nice-to-have” feature to a “must have” for retailers to remain competitive. While the most commonly cited use case for AR is for retail applications, there are some exciting possibilities for AR and MR data visualization throughout the supply chain. For example, Microsoft’s MR Hololens headset is beginning to be used to show real-time overlays on factory and warehouse floors, allowing foremen to see the flow of goods in real-time and manage processes using hands-free interactions. While the technology is still very experimental and expensive, the potential efficiency benefits are massive. Until MR headsets are a more realistic and affordable option in supply chain operations, AR has significant potential for an affordable and portable visualization option. Assessments and overlays can be easily implemented to increase efficiencies and promote a three-dimensional view of data and/or processes. Just as AR adoption in retail will grow significantly in 2018, enterprises will use AR improve the efficiency of their data management. One of the most prevalently discussed use cases for VR at VRX 2017 was the anticipated adoption of VR corporate training in 2018. Walmart spoke to their success using VR to train employees for scenarios such as Black Friday, as well as their ongoing efforts to train for common management/customer service simulations. Training company StriVR discussed their use of VR training for multiple NFL teams and the benefit of being able to avoid significant injury while still retaining information. Because virtual reality has such a significant amount of experiential presence, it has the potential to form memories the same as if we were to literally experience something. As such, per StriVR, it’s possible to increase retention from 20% with written material to as much as 90% with an experiential material. This kind of efficiency gain will be huge for large organizations looking to improve their training processes. Look for organizations to significantly adopt VR into their training programs in 2018. It’s often said that the “killer app” for virtual reality is going to be social; after all, Facebook clearly acknowledged the potential of the technology when they acquired Oculus for $2 billion in 2014. While social immersive tech is likely to be adopted more rapidly by consumers than businesses, there is a significant interest in its role in streamlining the efficiency of communication for enterprises. While current teleconferencing and online meeting methods allow for more flexibility than ever, the future of off-site communication likely lies in a world where employees have a sense of presence despite lacking true physicality. Being able to not only see someone but also interpret their facial gestures and body language while moving through space will give business communication a new form of digital intimacy, allowing businesses to improve efficiency while significantly decreasing travel expenses. Look for these applications to make their way into the enterprise in 2018. The future of immersive tech is mobile. Why and how? 2018 is poised to be a breakout year for immersive technology, particularly in the enterprise space. While consumer and entertainment immersive will continue to have a significant role, it is likely that corporate adoption will push the next wave of XR growth. As companies identify use cases and learn to navigate the complexities of VR, AR, and MR deployment, they will begin to reap the benefits of these new methods of interaction and visualization. Overall, the outlook for 2018 is very bright, and we’re looking forward to pushing the limits of this technology here at Shockoe. Interested in continuing the discussion or investigating how emerging technology can improve your organization? Get in touch with us here.